Part of the distinct luxury brands that make up Fairmont Raffles Hotels International, Swissôtel Hotels & Resorts is an award-winning group of deluxe hotels for discerning business and leisure travellers. Combining renowned Swiss hospitality with luxuriously fresh, contemporary design, each Swissôtel extends personalized service with charm and efficiency. Our inaugural Swissôtel experience took us to Swissôtel Merchant Court, Singapore. The epicentre of where sheer style and service beckon, this hotel offered us the best of both worlds; a central-city location and resort-style ambiance. 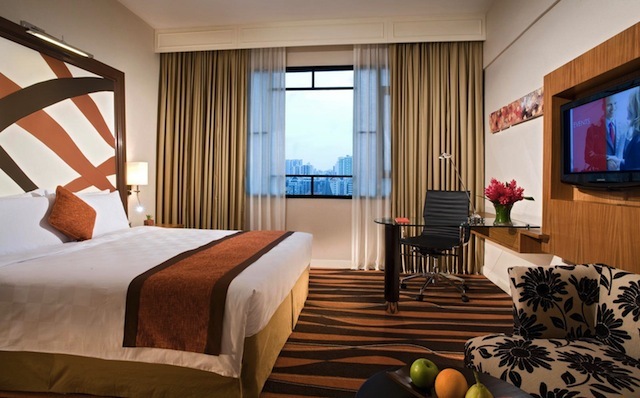 Ideally located near the banks of the Singapore River, next to the North-East Line at the Clarke Quay MRT station, the hotel is within walking distance of Singapore’s financial hub at Raffles Place. Colorful Clarke Quay offers bountiful dining and entertainment hot spots, all just opposite the hotel. Our Swiss Business Executive Room had a stunning view of the picturesque Singapore River and was well appointed with beautiful furnishings and a full range of modern amenities to serve both our leisure and business needs. Our room provided all the right connections so we could keep our company, GNG Media Inc., running half way around the world: Voicemail facility with three separate IDD phones with individual fax and data ports, MP3 docking station, an international plug system at the writing desk, and most importantly, high speed internet access. And just to be certain that we were totally at ease, Swissôtel even made sure that our work area, desk and chair were ergonomically designed. Complimentary coffee and tea making facilities featuring a private Nespresso machine and a well-stocked resident’s bar were all welcomed offerings in our room. We also had exclusive access to the Swiss Executive Club Lounge, which offered a range of special complimentary features such as daily gourmet breakfast, beverages throughout the day, and evening cocktails & canapés during happy hour. Three Food & Beverage outlets are offered at this Swissôtel. Cocktails can be sipped at Crossroads Bar in the lobby, while al fresco dining can be experienced at Blue Potato restaurant, set in lush gardens on the second level pool deck. We enjoyed authentic local delicacies and international cuisine at Ellenborough Market Café (read our review here). 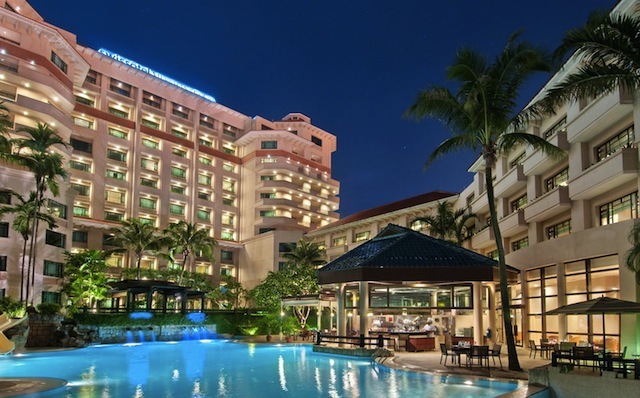 Plenty of amenities were at our fingertips at Swissôtel Merchant Court, Singapore: First we partook in an invigorating workout in the hotel’s well-equipped 2-level fitness centre, open 24 hours daily, and then we unwound in the outdoor jacuzzi, waterslide and free form swimming pool. The hotel’s home to Amrita Spa & Wellness, offering spa treatments that rejuvenate the body, mind and soul. “Amrita” is the Sanskrit word which evokes a reassurance of renewal, so this oasis of serenity is the perfect haven to relax, reflect and luxuriate. Many thanks to Hanli Tan, Rainus Chong and the Swissôtel Merchant Court team for our wonderful stay!